For over a hundred and fifty years, the people of The Forks region have based their livelihood on working forests. This rural North Woods community's economy rises and falls on the forestry and recreation taking place primarily on vast private industrial forests. In recent years, these forests have been sold to global owners with different priorities, putting the future of these important forestlands and habitat that sustain the region's businesses at risk. 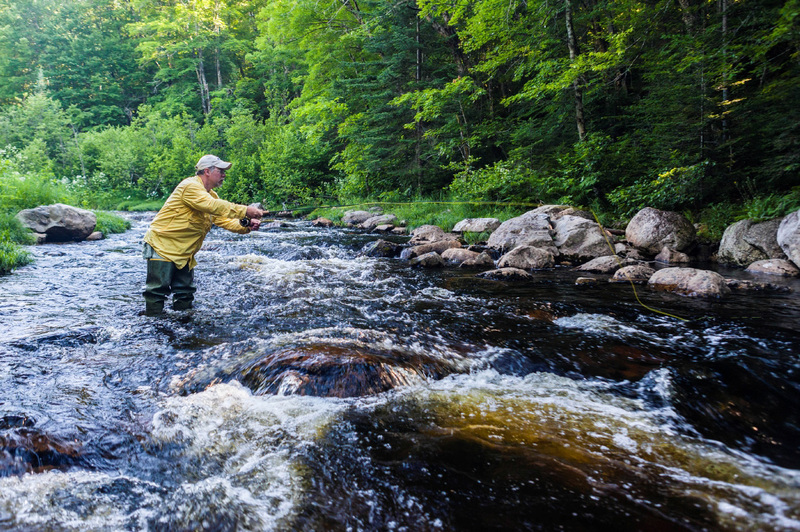 The Trust for Public Land helped protect 8,000 acres known as Cold Stream Forest—a refuge for the wild native brook trout, threatened Canada lynx, and dwindling northern Maine deer herd that have attracted generations of hunters, naturalists, and fly fishermen. The trout pond populations on this property alone are larger than those found in Massachusetts, New Hampshire and Vermont combined. Cold Stream Forest is now part of Maine's Public Reserve Lands system, guaranteeing public access for the local guides and outfitters that rely on these forests. The property will be carefully managed to protect important fish and wildlife habitats while continuing to produce sustainably harvested forest products for local mills.